Ultra-luxe community Bay Colony Naples Florida provides the most discriminating home buyers the luxury of choice. An oceanfront estate, a luxury tower condominium residence, an estate home in one of the worlds most exclusive golf clubs. Luxury amenities showcased in the spectacular natural environment that is Bay Colony. Sparkling lakes and bays full of mangrove and protected preserves. Wildlife habitats for egrets, herons and countless other creatures indigenous to SW Florida. This is the world that awaits the privileged few at Bay Colony. 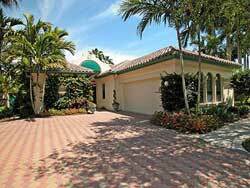 Bay Colony is situated within perimeter walls in two of North Naples most exclusive private golf club communities. Pelican Bay & Pelican Marsh. 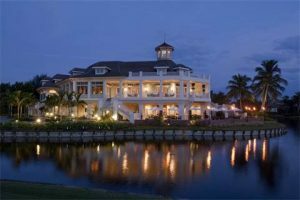 Bay Colony Naples Florida offers two distinct lifestyle choices when it comes to living on the Gulf of Mexico. Choose either a beachfront mansion or a sky mansion in a luxury high-rise. The Strand at Bay Colony is a private neighborhood of 12 grand oceanfront estates boasting the Gulf in their backyards. On the other side lies a 570 acre conservation area that will NEVER be developed. 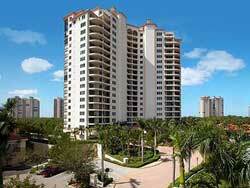 The Strand is Naples’ only 24-hour manned security gated beachfront community. These multi-million dollar mansions adhere to a common architectural theme and the strict governmental standards for beachfront residences. The unique, bespoke estates rarely come on the market. Biltmore at Bay Colony is a gulf front luxury tower condominium offering magnificent views of the Gulf of Mexico and the beach. It features imaginative and spacious floor plans ranging from 3385 to 4050 sqft under air. They have grand entrance foyers, vaulted ceilings, lavish master suites, generous guest suite with full-bath and walk-in closets. And each residence has two enclosed parking spaces in a controlled access garage. The Biltmore amenities include; a heated swimming pool and whirlpool spa, and a sun deck. There is also a fully-equipped fitness center with men’s and women’s locker rooms, saunas and steam showers. And of course, private beach access. 75 beachfront residences, each with unobstructed views of the gulf, the Brighton at Bay Colony blends perfectly with its environment. There are four individual floorplans ranging from 3240 to 4160 sqft. The floorplans at the Brighton overlook nature preserves and Bay Colony to the east and the gulf to the west. It features oversized, curving, glass-railed balconies and these sky palaces live like single-family homes. Resident amenities include a beautiful garden deck, pool, spa, poolside bar and barbeque and a dune walkover to the beach. 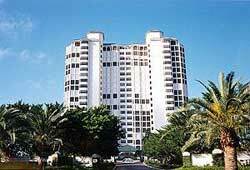 The Carlysle at Bay Colony is an oceanfront luxury tower condominium with 75 units ranging in size from 3119 to 4035 sqft. Among these are two private penthouses and five terrace residences with private stairway access to the pool and cabana area. There are four units per floor with views of Clam Bay and the Gulf that ensure few units become available. Amenities at the Carlysle include a fitness center, below building parking, a landscaped terrace and beachside heated pool/spa. There are also optional poolside air-conditioned cabanas and a private dune walkover to the beach. 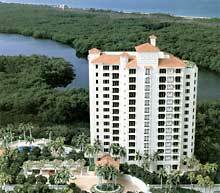 Unprecedented views of Naples, Bay Colony & the Gulf are the rule at the Contessa at Bay Colony. The 2 and 3 bedroom luxury condos range in size from 2541 to 3546 sqft. They feature European cabinetry in the kitchens, master suites have separate his and her bath and dressing areas, and large private terraces. It has room for gatherings including a meeting, common room with kitchen facilities. There is a game room as well as two fully furnished guest suites; the Contessa is ideal for entertaining. The Contessa’s amenities include a large pool and cabanas, a tennis facility and a private boardwalk leading to the beach. 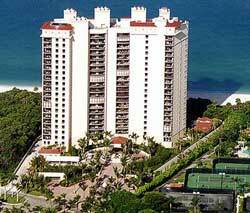 Remington at Bay Colony is a luxury beachfront condominium located next door to the Ritz-Carlton. It enjoys room service and concierge service from a private walk over to the hotel. The Remington features lavish residences available in four floor plans ranging in size from 3560 to 4110 sqft. Resident amenities include a heated swimming pool/spa, pool pavilion with barbeque and a dune walkover for private beach access. Two residences per floor and 31 units in total, the Windsor at Bay Colony offers the most exclusive, expansive condominium residences. The Windsor offers either 4 Br/4 baths or 4 Br/4 full and 2 half baths over 6155 and 8550 sqft. Lavishly appointed master suites, library, guest suites, housekeepers quarters, exquisite kitchen and a butler pantry. The family room features a fireplace and wrap around terrace. The Estates at Bay Colony Golf Club is located inside the gated, private golf club community of Pelican Marsh. Security is paramount here. Guest and worker access are highly monitored and the guards are also trained in emergency medicine. Bay Colony residents may not enter the Estates At Bay Colony clubhouse unless they are members or guests of members. Set on 280 acres of natural preserve, is the magnificent Bay Colony Golf Club course and seventy-five magnificent custom estates. The homesites range in size from 2/3 acre to a full acre. 4000 sqft of living space is the minimum size for a home. Though most of the homes far exceed this averaging from 6000 to 10,000 sqft of living space. Most homes were built from 1999 to 2003 with some newer homes built after 2012. All offer unobstructed views of golf course and lakes. The Estates at Bay Colony Golf Club reside under the Bay Colony master association. And the Bay Colony master association falls under the Pelican Bay open master community association. Homeowners in the Estates have the opportunity to purchase a golf membership. In fact, a golf club membership is reserved for each of the Estates. Residents also enjoy membership in the Bay Colony Tennis Club and Bay Colony Beach Club. The tennis club features 4 Har-Tru courts and the beach club has swimming and dining facilities. Also, residents may purchase a membership at the Pelican Isle Yacht Club. 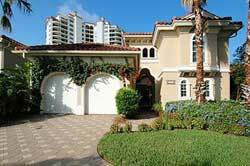 Bay Colony Shores represents some of the best luxury lifestyles in Pelican Bay. It offers 66 luxury estate homes on lots sized from 1/3 to 1/2 acre on brick-paved streets complemented by vintage streetlamps. The homes range in size from 3000 to over 10,000 sqft. All feature stunning views of the lake, preserve and/or tropical landscaping. 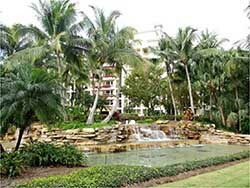 Membership to both the Bay Colony and the Pelican Bay associations is required, which provides access to all amenities. Villa La Palma at Bay Colony is a Mediterranean-inspired neighborhood of 22 luxury detached villa homes built from 1996 through 1998. Offering three floor plans with either one or two-story designs ranging in size from 3600 to 4600 sqft. Each villa features pristine water views. Villa La Palma is pet-friendly and allows homeowners to lease their properties once per year (90 day minimum). Vizcaya at Bay Colony is a neighborhood of 58 Italian Renaissance-style detached villas built in the early 90s. It was the first Bay Colony neighborhood to offer a custom-designed luxury home including exterior home maintenance services. Homes in Vizcaya range in size from 2600 to over 6000 sqft. and most include private pools. Vizcaya homeowners may lease their properties once per year (90 day minimum). Mansion La Palma at Bay Colony is a 7-story, 26-unit Mediterranean-style condominium featuring luxury condos overlooking the Bay Colony Tennis Club. 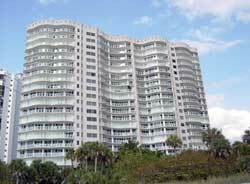 It’s located in the middle of Bay Colony across the street from the Gulf of Mexico. Residents delight in a beautifully landscaped garden highlighted by a cascading water fountain at the entrance. Mansion La Palma residents enjoy a resort-style swimming pool area with two built-in gas grills and a kitchenette. 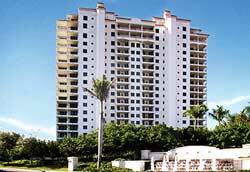 Marquesa at Bay Colony is an exclusive, luxury high-rise condominium featuring only 39 luxury units built in 1994. The exquisitely designed residential tower features a multi-level deck of gardens and fountains. To provide both luxury and privacy, there are only three residences per floor offering stunning views of the Gulf, Pelican Bay and Clam Pass. Marquesa units range in size from 2250 to 3250 sqft. 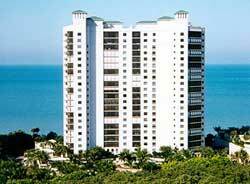 Salerno at Bay Colony is a luxury 20-story condominium tower, built in 2000 with 69 units. The Salerno homes offer 2600 – 5200 sqft. of luxury living space with views of the gulf and natural preserves. There are also a few 2-story penthouse homes with 20 foot ceilings and luxurious interior appointments. Each residence includes two enclosed parking spaces, bicycle storage and air-conditioned storage space on the garage level. There are two guest suites available for rental, a social room with full bar and kitchen facilities. Add a billiards room, media entertainment area, library/boardroom, fully equipped modern fitness center and more. Security is paramount. There are 24-hour manned concierge/security, closed-circuit television monitoring system resident manager and separate guest and service parking. The outside common areas include landscaped garden deck, heated pool/spa, and sun deck. There are optional poolside cabanas with full bath, wet-bar, and refrigerator, a pavilion with two BBQ grills, wet bar, and icemaker. Toscana at Bay Colony is a 19-story luxury high-rise featuring 61 luxury condos and 4 penthouses built in 1999. The Toscana’s building orientation allows for more sun on the pool deck than many other Bay Colony buildings. Residences range in size from 2500 to 5000 sqft. of living space. 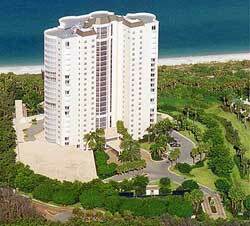 And all feature spectacular views of the gulf, preserve and the beach. The Toscana offers homeowners private elevators, soaring ceilings, stunning master suites and oversized balconies. Amenities include under building parking, social room with bar, media room, garden and sun decks, swimming pool/spa. There are seven cabanas on the pool level and two guest suites available. 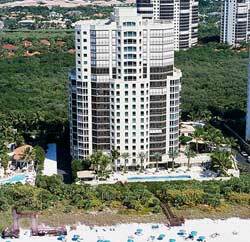 Trieste at Bay Colony is the newest 20-story luxury tower built in 2002. 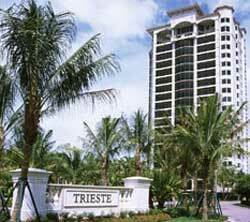 The Trieste features 105 luxurious residences boasting extraordinary views of the gulf, bay and preserves. The units feature dramatic architectural floor plans ranging in size from 3400 to over 9100 sqft. of living space. Trieste features a spectacular 2-story grand salon detailed with hand stenciled ceilings and a 20 foot window overlooking the fountain. Amenities include two guest suites, movie theater, social room with bar and kitchen, billiards room, library, conference room and fitness center. For entertaining, the pool/spa area is complimented with an air-conditioned Pool Pavilion, complete with fireplace, seating, bar and media center. Private cabanas and garages are another amenity of the Trieste. 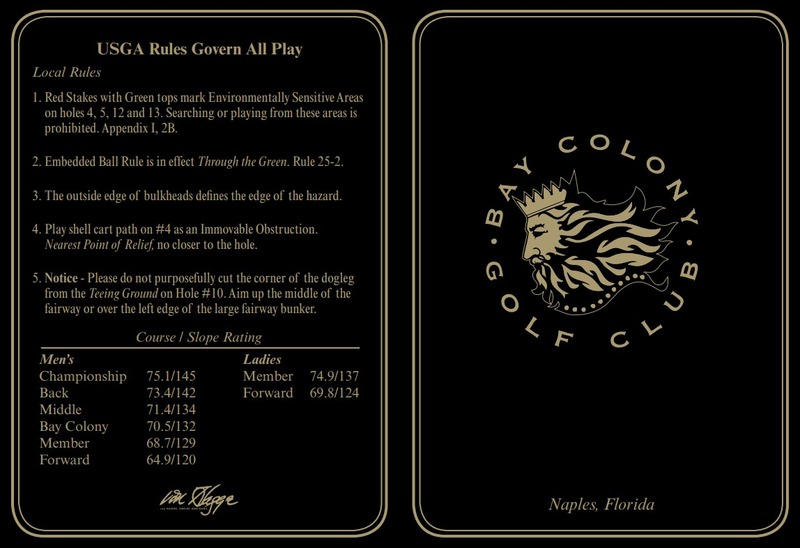 Opened in 1995, the golf course at the Bay Colony Golf Club is an 18-hole par 72 championship course. 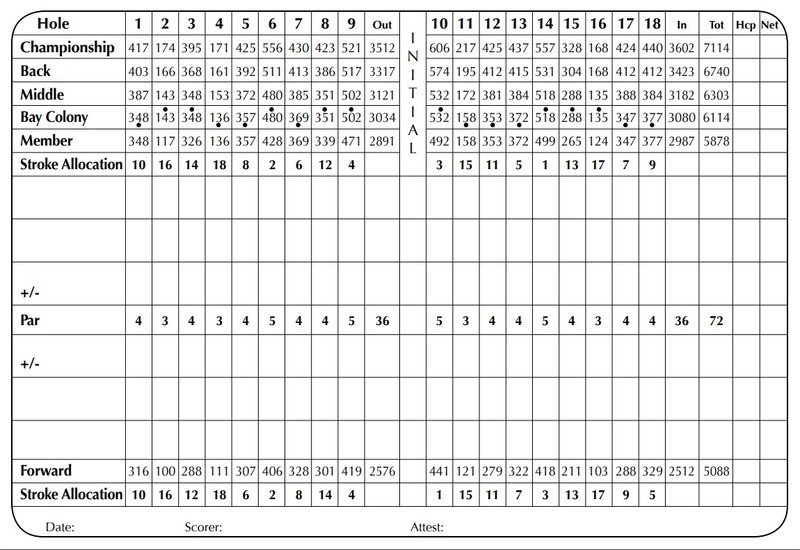 The golf course measures 7079 yards from the tips with a course rating of 75.9 and a slope of 148. Designed by the renowned golf course architect, Robert von Hagge there is a 300 member limit. The course ensures the no tee time schedule a staple of the club since its inception. For additional Bay Colony information, please complete the form below! I or one of my team members will respond to you within one business day.